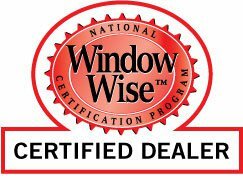 Window Wise is a quality assurance program designed to give homeowners peace of mind that their window investment will be a lasting one. Peace of mind that the products they’re buying, and the tradespeople installing them, are of the highest quality. Peace of mind in knowing that no matter what happens to the window manufacturer or the contractor, they are protected by an industry-backed guarantee.